Get those nukin' fingers ready. 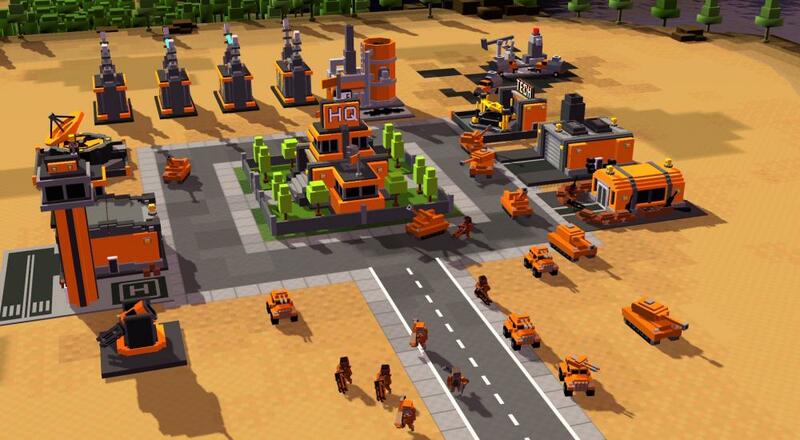 Missing the RTS genre? Can't go a day without longing for a horde of units to guide headfirst into an enemy base? Well then, I have some pretty fantastic news: 8-Bit Armies is coming to the PlayStation 4 and Xbox One this fall! The co-op RTS made its initial debut on the PC in 2016, and once developer Petroglyph Games got all their post-launch items in order, they set to work on the console version. It'll be in our controller-laden hands on September 21st, and to tide folks over until then, the publisher supplied us with a brief announcement trailer. The console version of 8-Bit Armies features 12 two player co-op missions as well as an AI Skirmish mode, if you're into comp stompin' (and really, who isn't). It's an online-only affair, though, so no strategizing from the same sofa. If you'd like to see the game in action, Jason and Locke took on some of the co-op missions back when it first launched. You can catch both parts of that stream here. While it's not an overly complex title, 8-Bit Armies is definitely deeper than it first appears, and the co-op challenges will take quite a bit of coordination to overcome. Good luck to all you Couch Commanders out there. Page created in 1.4753 seconds.